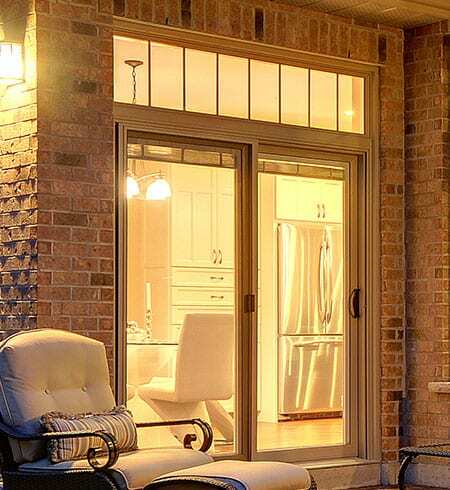 Considering New Patio Doors for your Toronto Home? We can help! Brock Doors & Windows Ltd. Considering New Patio Doors for your Toronto Home? We can help! Many Toronto homeowners tend to overlook their sliding patio doors, but the truth is that sliding patio doors are much more than just a functional aspect of your home. When patio doors are properly installed, they create a very attractive element to your home, including a widened entryway from the interior to the exterior, and the allowance of an abundance of natural light. And this is not all. Patio doors also offer many less obvious benefits to enhance your living space and well-being. Greater Access. Sliding patio doors are an excellent way to allow larger objects access in and out of your home. Because Toronto patio doors are generally about twice as large as typical entry doors, sliding patio doors make it a breeze to move couches, beds and other large furniture in and out of your home. Best of all, you will be able to enjoy your garden, backyard or that beautiful view without ever leaving your house. More Natural Light. Large patio doors open a floodgate of natural light into your home. This has many benefits, ranging from reduced energy bills to making your home more inviting. Illusion of More Space. Everyone likes a big, bright room, but it’s not always possible in our Toronto homes. Sliding patio doors are a lot like mirrors, creating the optical illusion of there being more space in an area than there actually is. This feature is particularly beneficial in homes where small kitchens or dining rooms lead to the back yard or garden. Keep the Elements Out. You can never go wrong with patio doors from Brock Doors and Windows. Brock Doors and Windows uses glass with special technology. Our glass has heat and UV reflective coatings that will keep your home cool as a cucumber during the summer and toasty warm in the winter time. Increase Aesthetics. The perfect combination of glass and framing of patio doors can capture a view so nicely. Aside from framing a picturesque view, patio doors from Brock Doors and Windows complement any style of Toronto home. Our patio doors come in a wide range of styles and colors that will enhance the curb appeal of your home. Improve Energy Efficiency. Sliding patio doors from Brock Doors and Windows can save a surprising amount of energy. They are designed with high-quality glass packages which help increase your home’s insulation. Because they let in more natural light, your home will use less electricity for lighting. What is more, during the fall and spring, you can open your sliding patio doors to cool your home without even turning on your A/C! Since 1985, North Star has been the industry leader in quality, energy efficient and full-featured patio doors that offer excellent performance. Our sturdy Imagine patio doors are suited for any setting, and will provide your home the appearance of a garden door in sliding form. 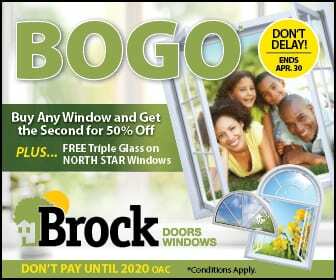 When the time comes to install patio doors, Brock Doors and Windows is here for you. We offer both Imagine and North Star patio doors.